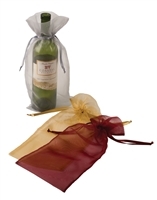 Fully thermal foil insulated single wine bottle tote. 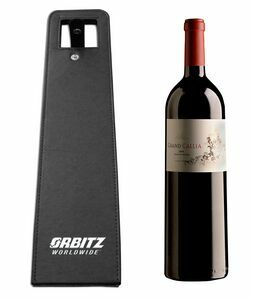 The Cortica single bottle carrier is one of our most sophisticated bottle carriers and it is highly popular with stores that sell exquisite and rare bottles of wine and other such drinks. It has been designed to hold just a single bottle, but it will keep it stored safely, enveloped in durable materials. It is also a cooler, which means it will keep the bottle at the temperature it was when it was placed in it. This is important for wines, as red wine has to stay at room temperature and white wine and champagne has to stay cold. This particular bag comes in two different designs: either cork beige and black, or burlap and black. 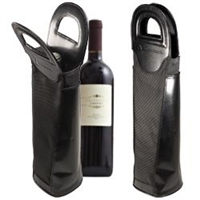 It comes with a top flap, with an opening through which the neck of the bottle can fit. The bag is fitted with a handle, which allows for easy and comfortable carrying. Your customers will absolutely love this bag and take it with them during parties, picnics, soirees and other similar events. This is very important for you as a store, because it gives you the opportunity to transform this bag into a promotional and marketing product. 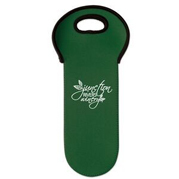 The bag can be laser engraved, foil stamped or debossed with your store's name and logo. This means that wherever the bag goes, your store goes too, immediately increasing your brand awareness. We are one of the very few stores that currently have this bag in stock and it is proving to be incredibly popular. For prices and options, please visit our online selling platform. Through the platform, you can also request a free, no obligation quotation. 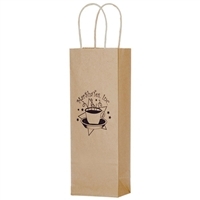 Various customers have reported seeing a significant return on investment through this bag, because it advertises their store name far and wide and it greatly increases their customer satisfaction ratings.